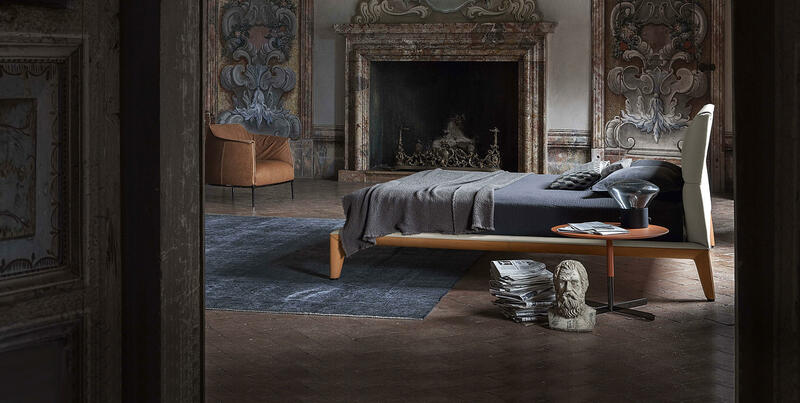 It enters the bedroom almost on tiptoe, evoking the airy grace of a classical ballerina, before enticing with its soft, generous and imposing headboard. 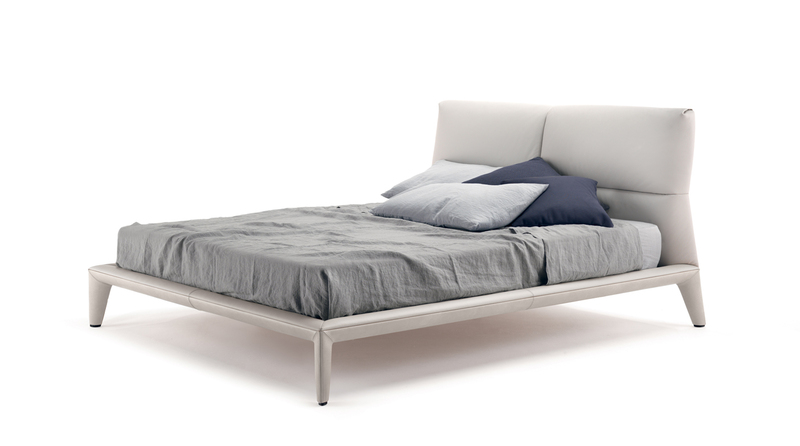 Giselle, a bed that steals the limelight, almost theatrical yet at the same time unassuming. 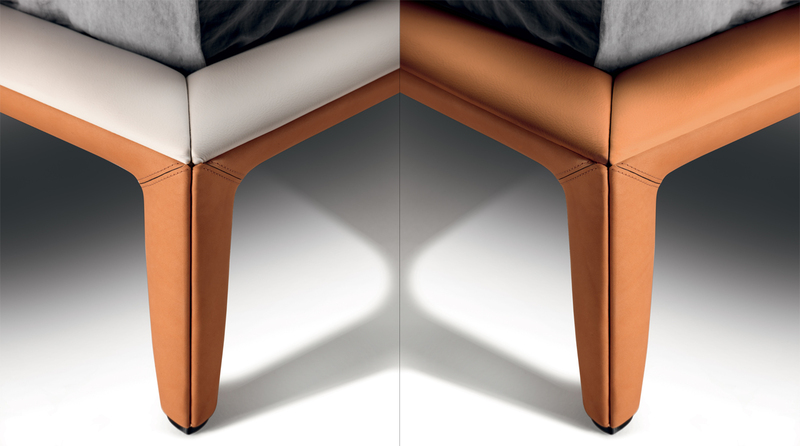 The four conical feet form part of the frame and taper off towards the floor, evoking a sensation of extreme lightness. It was as if the Giselle had entered the room on tiptoes, almost weightless. 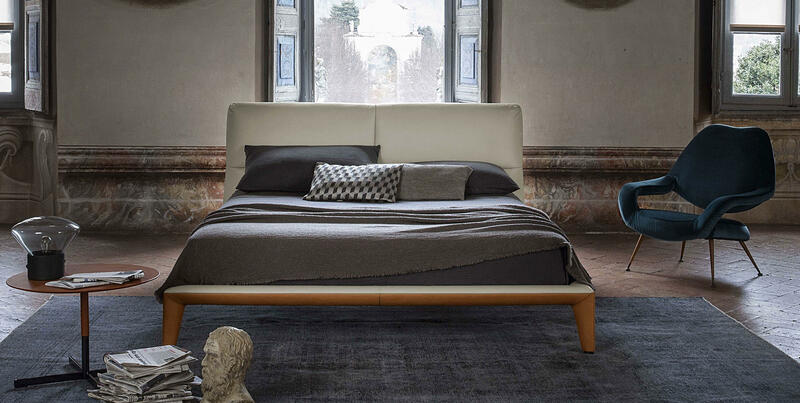 It then reveals its generous, imposing and richly padded headboard, embellished with simple, austere stitching that divides it up into four cushioned areas. Lightly inclined, it is the ideal support for reading, working and conversing, as well as for resting, in a versatile night zone with a contemporary feel. 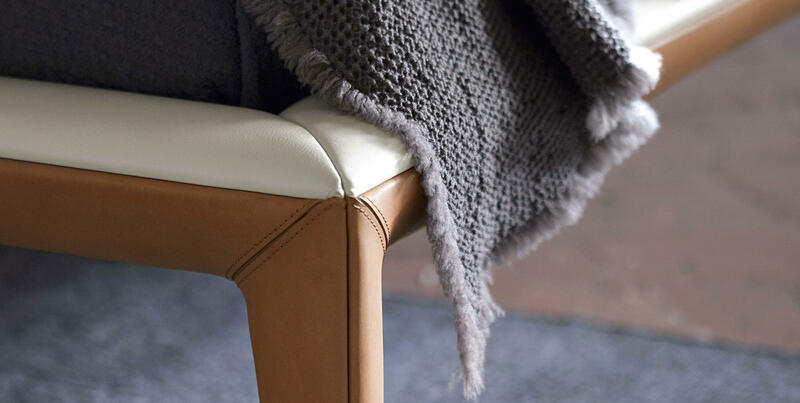 The frame is completely enveloped by a high-impact cover that combines leather with hide. There is no visible stitching, emphasising the intrinsic beauty of the materials. 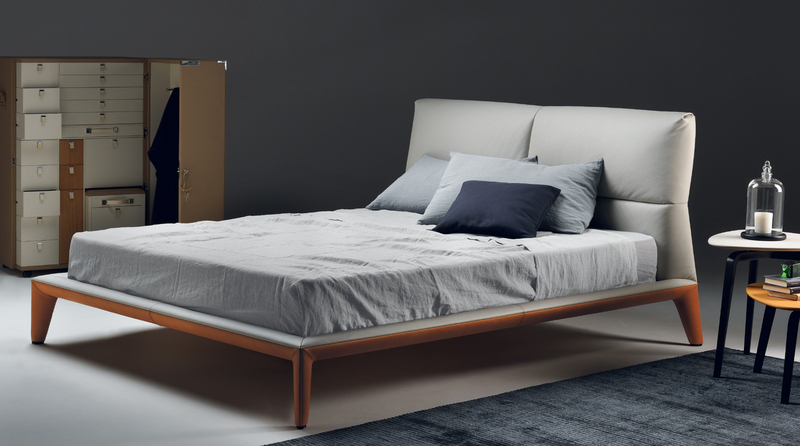 The different possible colour combinations make the Giselle a personal and unique piece of furniture. 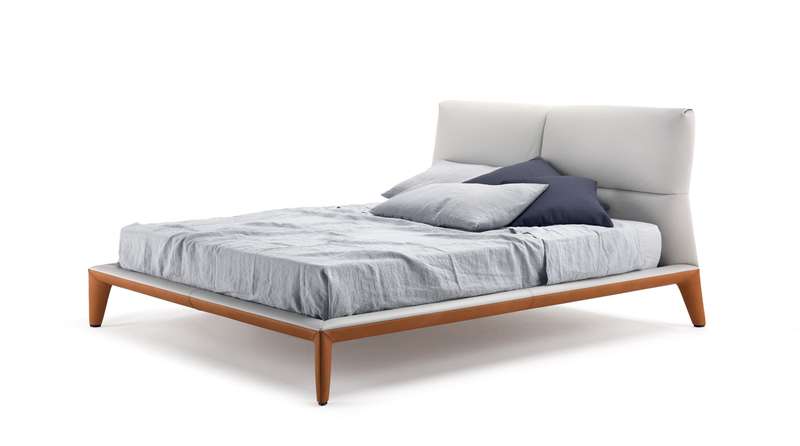 The headboard frame is in solid beech and poplar with padding in polyurethane foam and dacron. 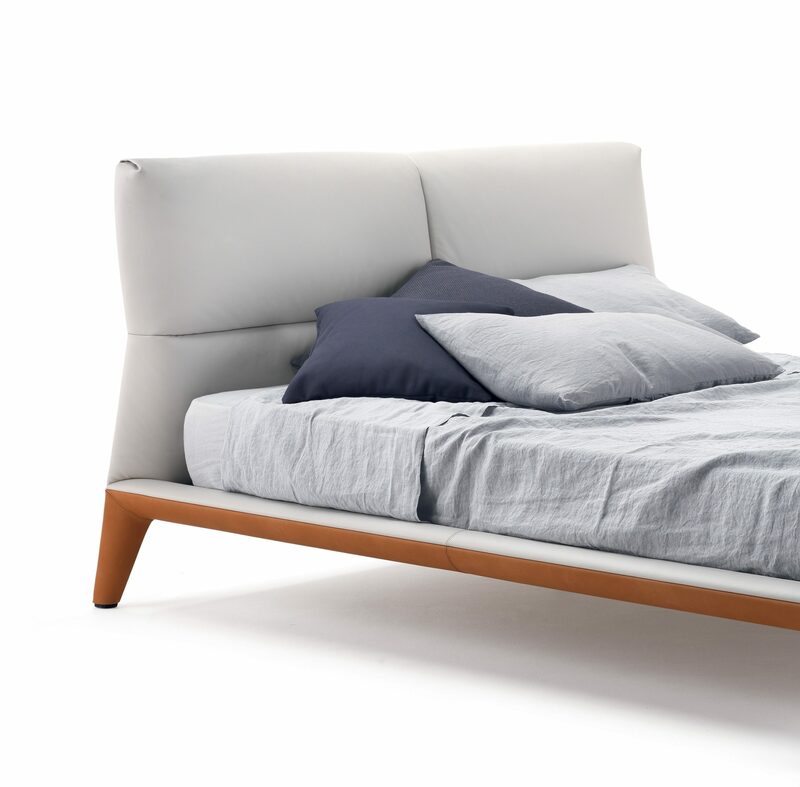 The frame, in solid beech and poplar with padding in polyurethane foam, is integrated with the staves in curved beech plywood.